It was Z's birthday over the long weekend (I love to joke about how I was "liberated" on Liberation Day, though I'm sure after 2 years, the joke is getting a little old) and I baked the below cake for her. It was just a small family affair with Z cutting her cake followed by dinner out. We had originally thought of going to Arabella for dinner as its nearby, but the traffic was so horrendous with pretty much all of Kuwait out on the streets armed with water guns, plastic bottles and water balloons, that we changed course and went to the Avenues instead. The cake tasted really good and I even got a "wow" out of my 2 year old! This is a recipe my mum makes all the time when you want a no fuss fail proof cake. Its taken from the Edmonds Cook Book which is a staple in every New Zealand kitchen and is full of simple but very reliable recipes. Cream butter, vanilla and sugar until light and fluffy. Add eggs one at a time, beating well after each addition. Sift flour and baking powder together. Fold into creamed mixture. Add sufficient milk to give a soft dropping consistency. Spoon mixture into a greased and lined deep 20 cm round cake tin. Bake at 180°C for 35 to 40 minutes or until cake springs back when lightly touched. Leave in tin for 10 minutes before turning out onto a wire rack. I usually make 1 1/2 times the recipe and split the batter between two 9" (23 cm) cake tins. For the frosting, I used a basic buttercream and piped the little rosettes with the Ateco Tip #846 . 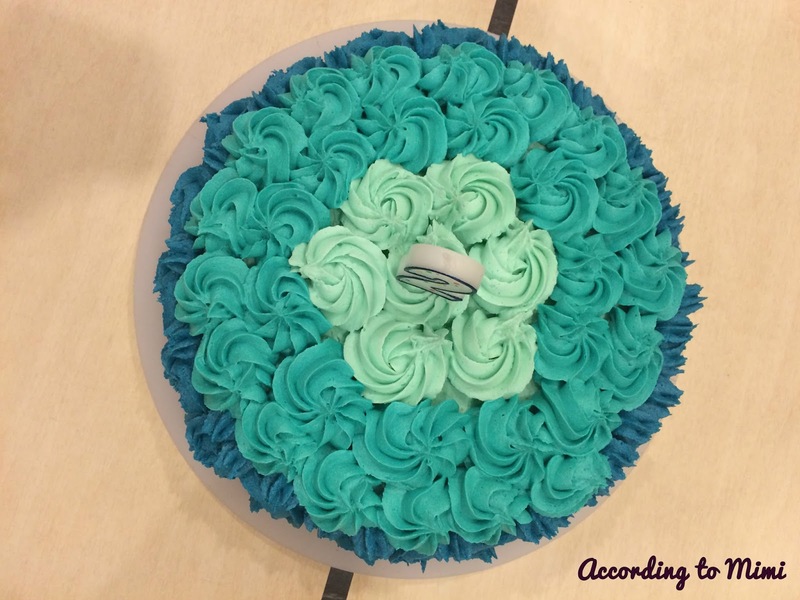 Use gel icing colours to colour the frosting as you will get beautiful vibrant colours without altering the consistency of the frosting. I used Wilton Icing Colours and they're available in Tavola. An alternative to frosting the cake is to make a lemon syrup to go over the cake. All you need to do is heat 3 tablespoons of lemon juice and 1/4 cup of sugar together, stirring until the sugar has dissolved. Once the cake is baked, spoon the hot syrup over the hot cake and leave it in the tin until cold. This is absolutely delicious and the tangy lemon goes really well with the sweet buttery cake. Do try this cake out sometime and let me know below your thoughts. Oh, thanks so much! Still a beginner decorating wise, but if you have the right icing tips, its fairly easy. Try out this recipe. 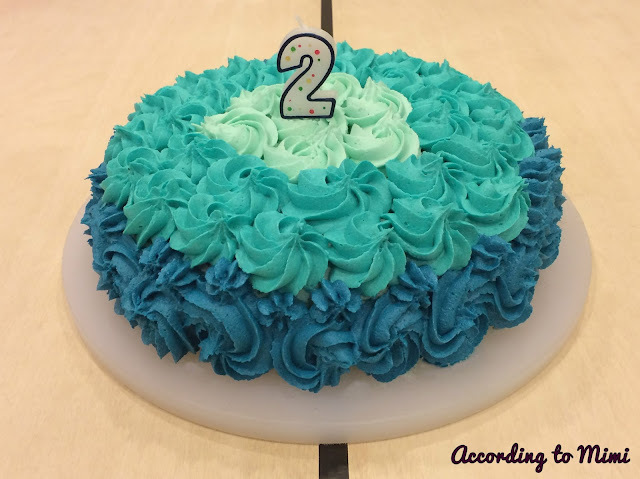 I know this is an old post , but where do you get different icing tips here? I know of Wilton in Shuwaikh . Any other place ? Hi! Yes they're available in Tavola in Shuwaikh and also Williams Sonoma in the Grand Avenues sells a few different sets of piping tips and I got mine from there.